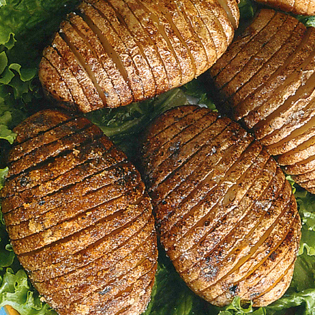 Hasselback Potatoes look like a very fancy side dish, but is actually very easy to prepare. As it is baking, the slices fan out slightly for an impressive presentation. This is a unique way to serve New Brunswick Russet potatoes. 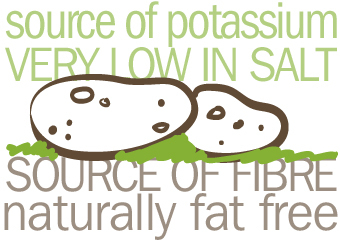 Cut potato crosswise 1/4″ apart almost, but not quite through to the bottom. Place cut side up in a greased baking dish. Dry tops with a paper towel. Spread half the butter/margarine on top. Sprinkle with salt and pepper. Bake uncovered at 450ºF for 40 – 45 minutes. Spread the remaining butter/margarine at halftime. Add your own flair by adding parmesan cheese or your favourite spices to the top.